Believe in tomorrow. Believe in the promise of the unbounded future. Believe like Tiger Woods who after 11 years of drought met that promise of another major. It takes a man who has reached the highest mountain to appreciate the lowest valley. Blessed is he whose job is his hobby; Tiger was just enjoying golf. 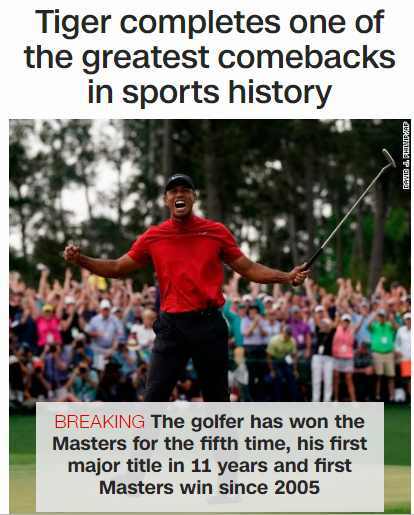 The gods of golf just sent him a green precious jacket. Congrats Mr. Woods.